The closing was to be set for a home where the long-term tenant had just moved out. 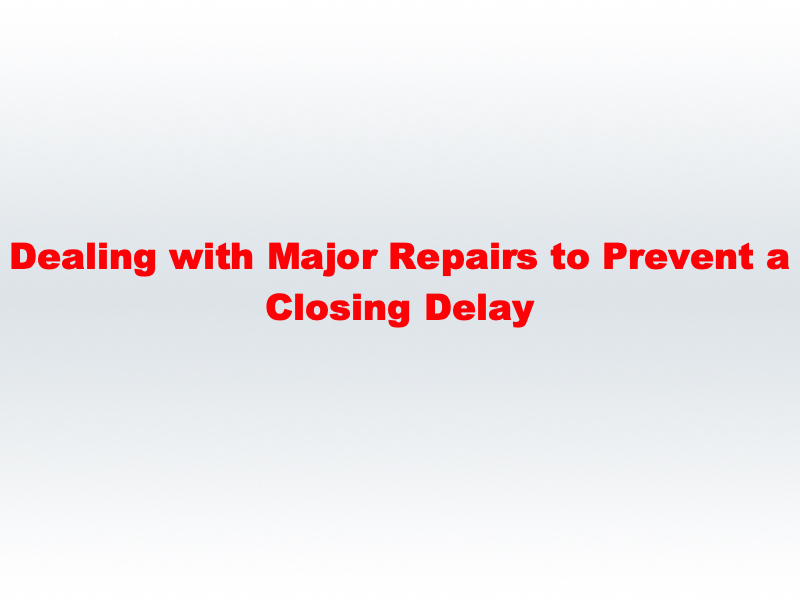 Some major repairs needed to be done as well as utilities reconnected for final inspection of heat/appliances. The owner lives out of state and unable to take care of these issues. As a full-service realtor with years of experience managing the sale of bank-owned and relocation company-managed properties, I have the expertise and know-how to guide this process. This situation involved not only dedicating time to meet workers and service people, but it was also necessary to develop the scope of work needed for each repair (to ensure all contractors bid on the same items), oversee the bid process, select the best contractors for the jobs, and monitor the work through to completion. In addition, most contractors want to be paid at the time of completion, so this involved coordinating payment with the owner in advance. This extra, add-on service was just part of the high level of value our team provides our buyers and sellers. In this case, the sale was able to close with no escrow or reduction in sales price because these repairs were completed. There was no extra charge to the owner for our time and expertise, and included as part of our agreed commission. The Keit Team – Highly Experienced, Outstanding Service – The Results You Want! 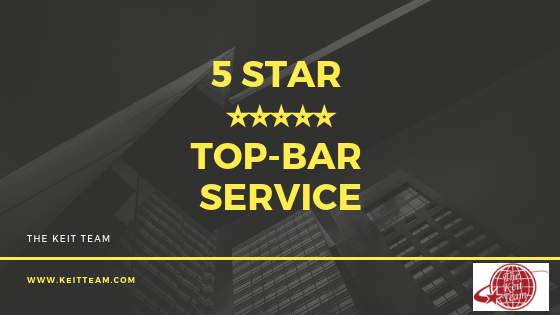 5 Star, Top-Bar Service! !